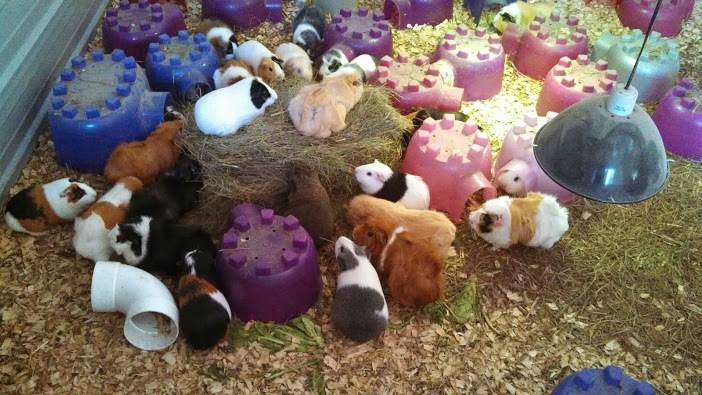 Guinea Pigs - Welcome to Critter Camp! 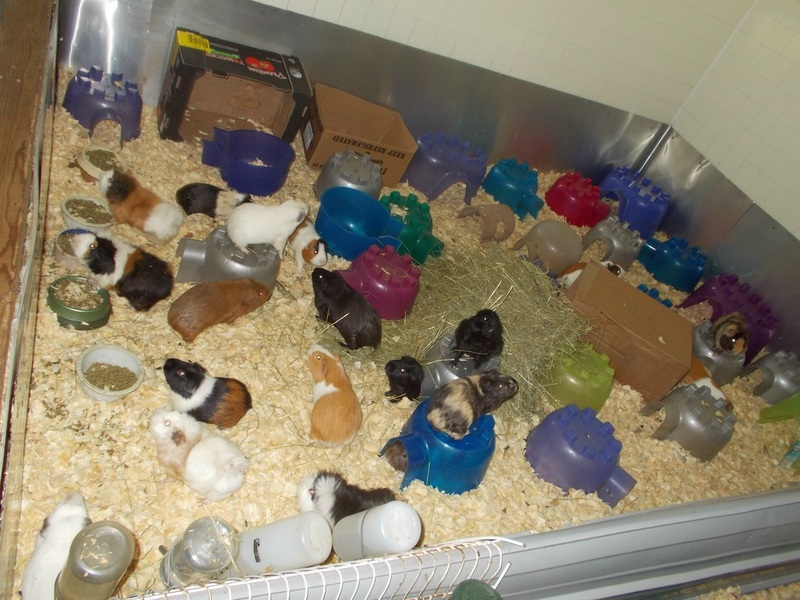 See our Guinea Pig care page here! 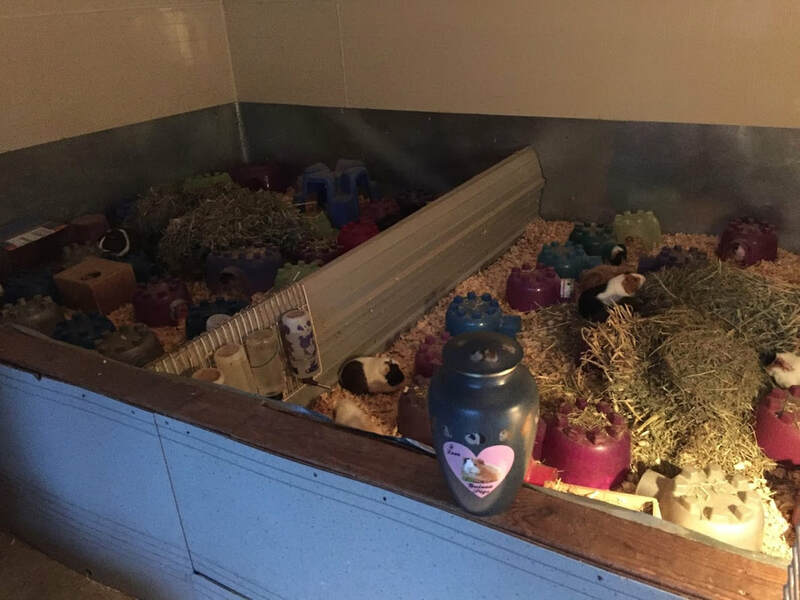 We care for 40 guinea piggies, 20 ladies and 20 fellas. They live in two free range areas, one for boys & one for girls called Piggy Havens. The piggies will stay here the rest of their lives , many were going to be euthanized at kill shelters for being too old or too fearful to be adopted. Some have been through terrible circumstances, abuse, neglect, etc. We provide them with safe, loving assisted living and hospice care.